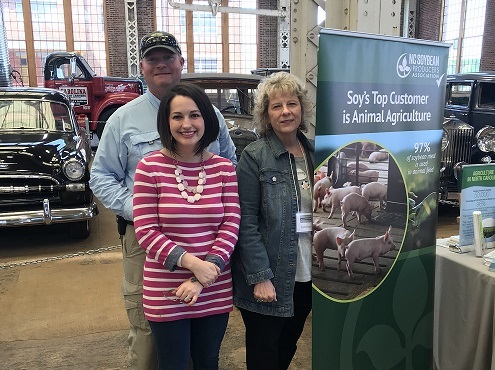 The NCSPA was on hand last weekend for the Tractors & Trains Festival at the N.C. Transportation Museum in Spencer, N.C. to talk to attendees about farming and answer their questions about agriculture. Board member Jason Starnes and his wife, Robin, assisted outreach education coordinator, Laura Rogers, at the NCSPA exhibit and interacted with thousands of visitors. The two-day event featured tractors, antique farm equipment and agricultural demonstrations, as well as offered lots of fun for kids, hay rides and live music. All of the activities were an especially big hit with all the school groups that visited on field trips on the first day of the festival.